On entering the cemetery, this made me laugh. There, just to right of the path. I guess it's what brings most "stranger" to the place. 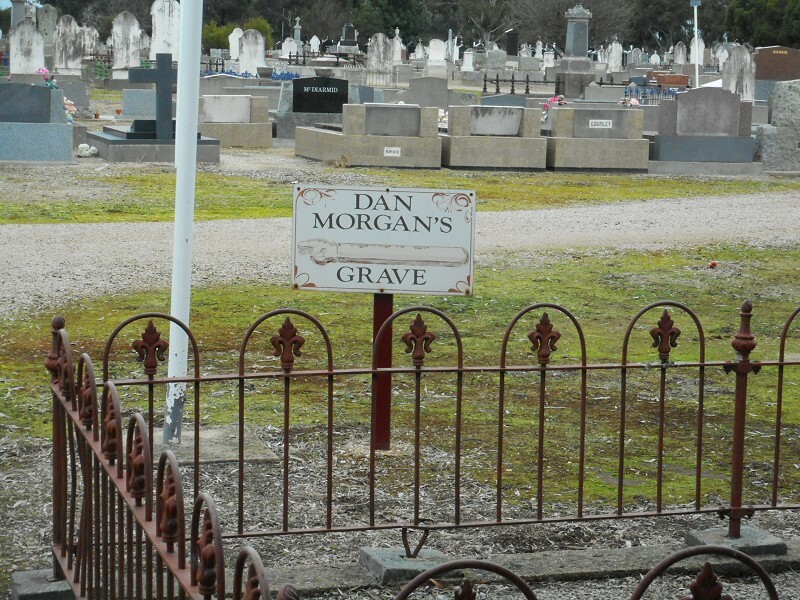 Daniel Morgan was a notorious bushranger in the mid 1800s. 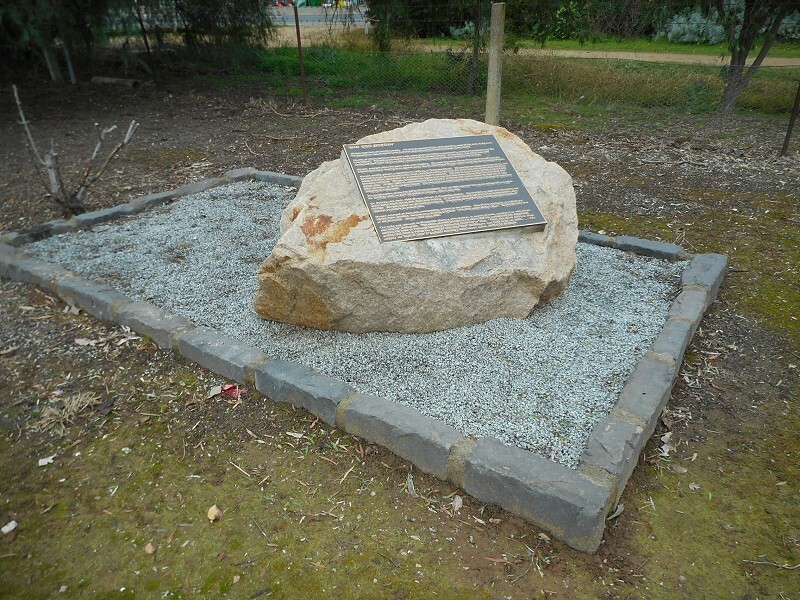 A plaque is attached to Daniel's memorial that details his interesting life events. Hmm. OK then a link if you're mildly interested in his "interesting life events" (I like the last line) which has a link to ADB entry if you're after details. Admittedly, he is an interesting study in the changes folklore (there needs to be a verb form there) make to a person's life story. 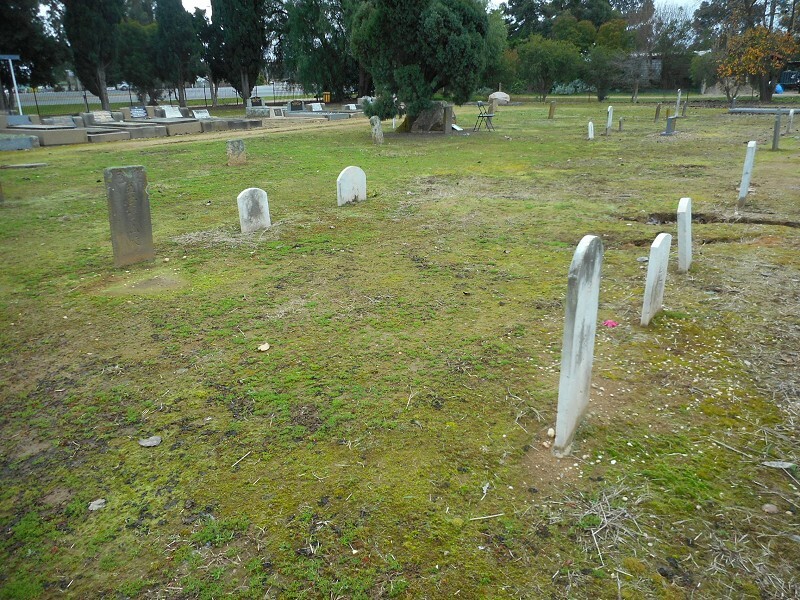 Part of the "strangers" area for burial of denominations not recognised elsewhere in the cemetery. 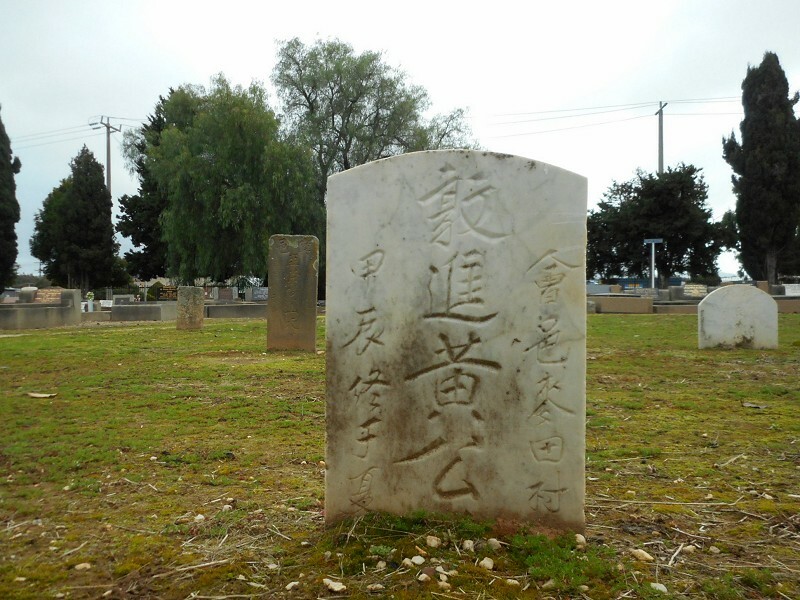 These Chinese were mostly miners and market gardeners and are not actually buried in the cemetery. 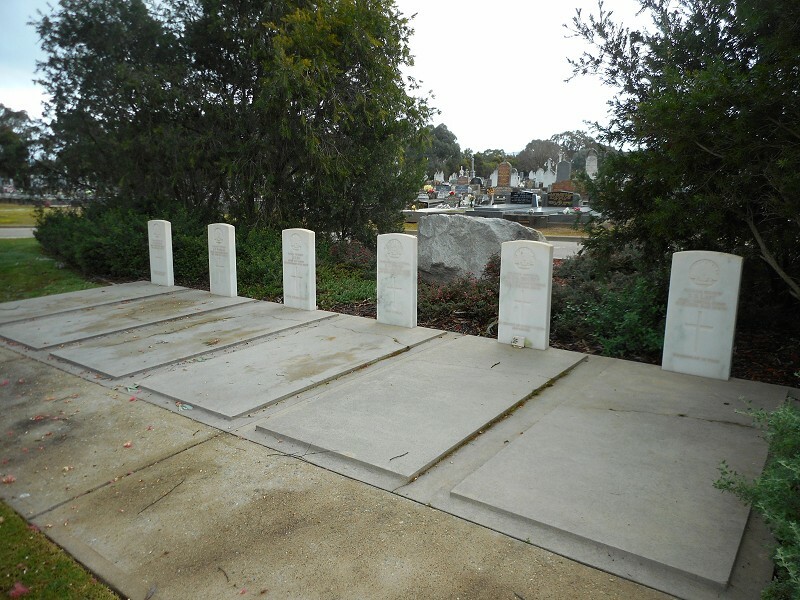 These markers have been placed here by their families in recognition of their lives. You might have noticed the chair and rock there, next to the tree. Mary, reported as the last of the Pangerang Tribe is a popular assumption not founded on fact. 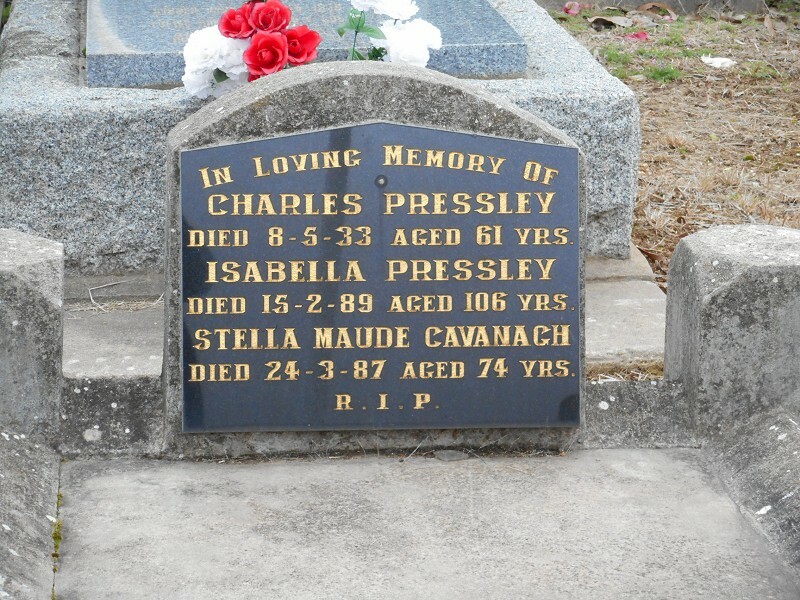 A plaque is attached to her memorial that commemorates her life. Can't say the attached plaque actually "commemorates her life". I'm guessing from the wording that it was done by the same person/people who did the one next to Merriwa Park. 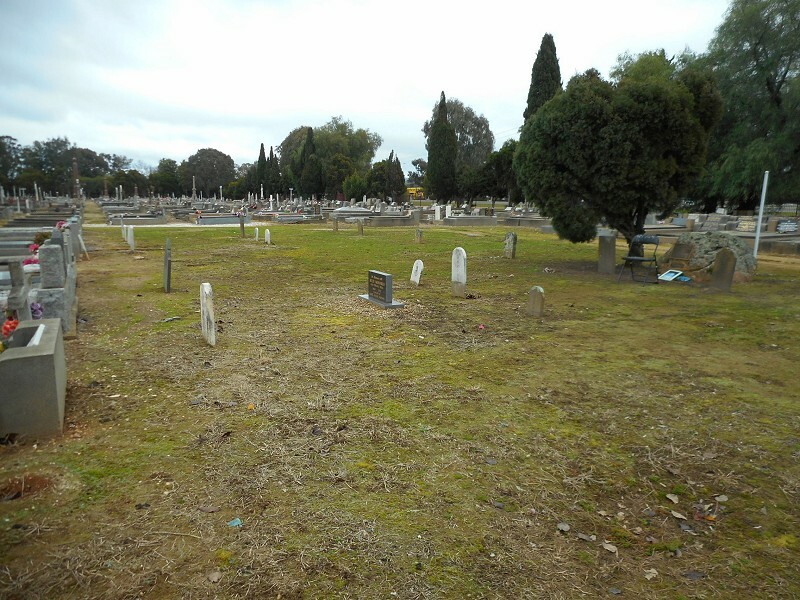 The graves that are in the brochure are marked by white poles, that both make the indivdual graves easy to find and blend in with the rest of the cemetery. 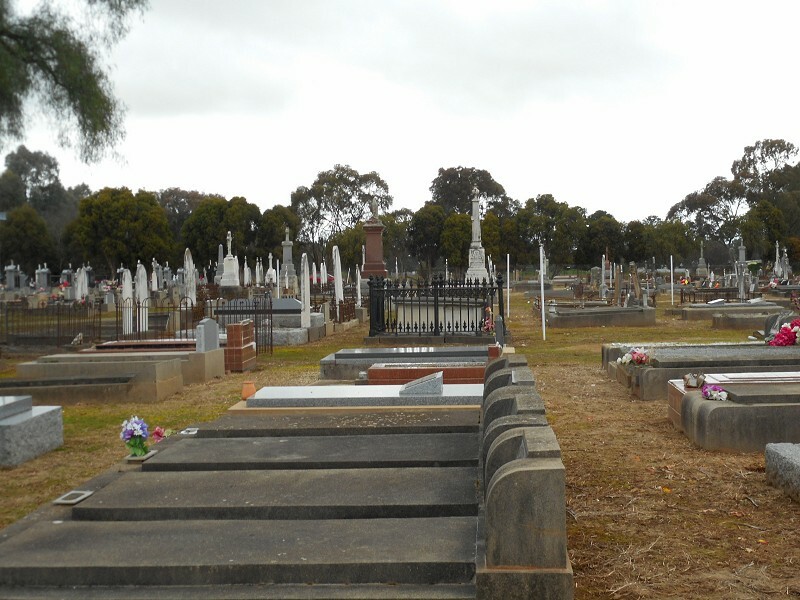 They're similar to the post used to mark the different section of the cemetery, and similar in colour and height to many of the older headstones. It took me a while to notice them. The downside, you need a copy of the brochure to find out why they're marked. I did have a copy on my phone as a PDF, although every time I tried to move to different page/part of a page, it froze up for a few minutes, and wouldn't zoom in. Not the easiest thing to read. 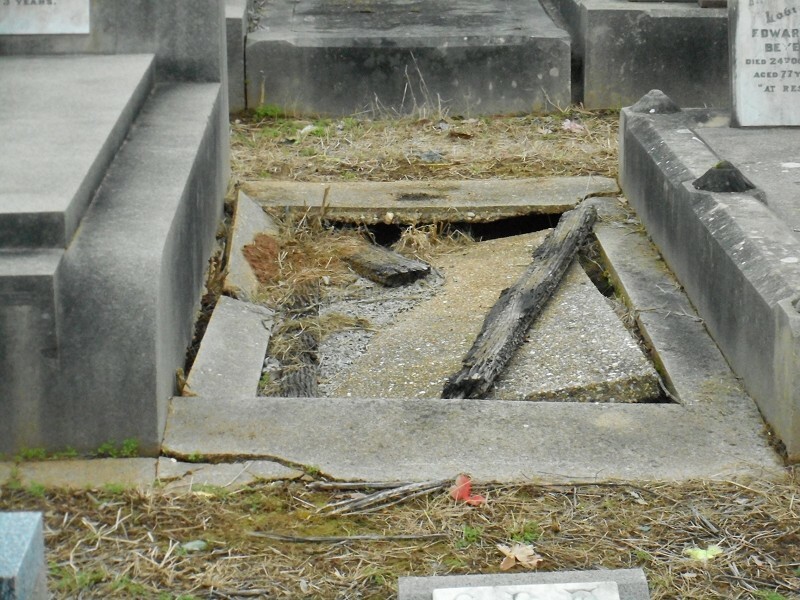 Vault of the Unknown Children: "Our little Ernest & Poor Anthony" is the inscription on the top of this vault and is the only clue to the identity of these children. 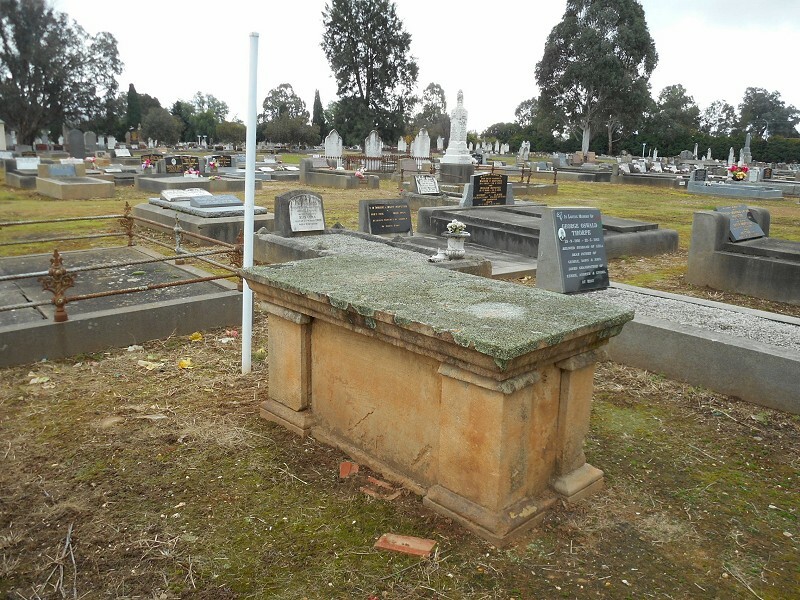 The burial register has no record of a burial and hence the burials may have taken place between the years 1851 when burials began and 1862 when the burial register commenced. 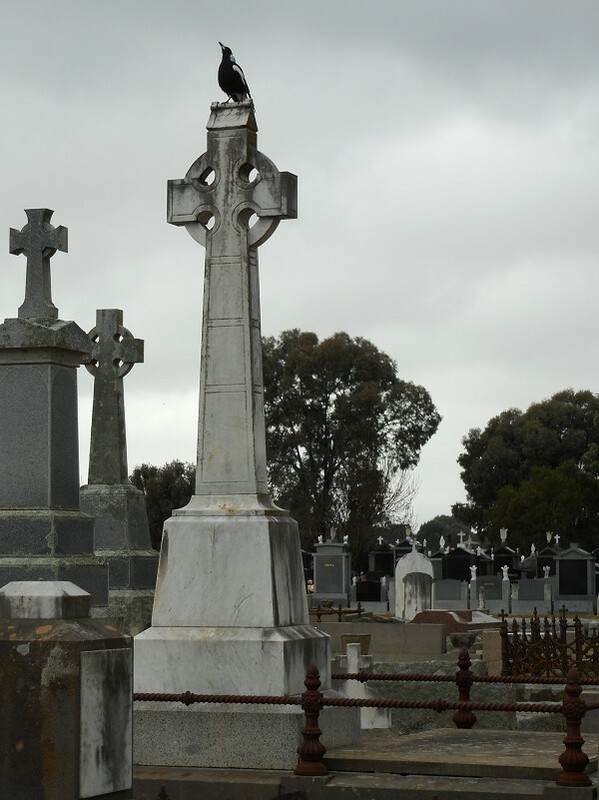 The Wangaratta Family History Society undertook extensive research and believes that the boys might be Anthony R Spearing aged 11 months who died in 1872 and Ernest J Spearing aged 4 months who died in 1867. This grave is a little curious, for reasons I might or might not mention later. 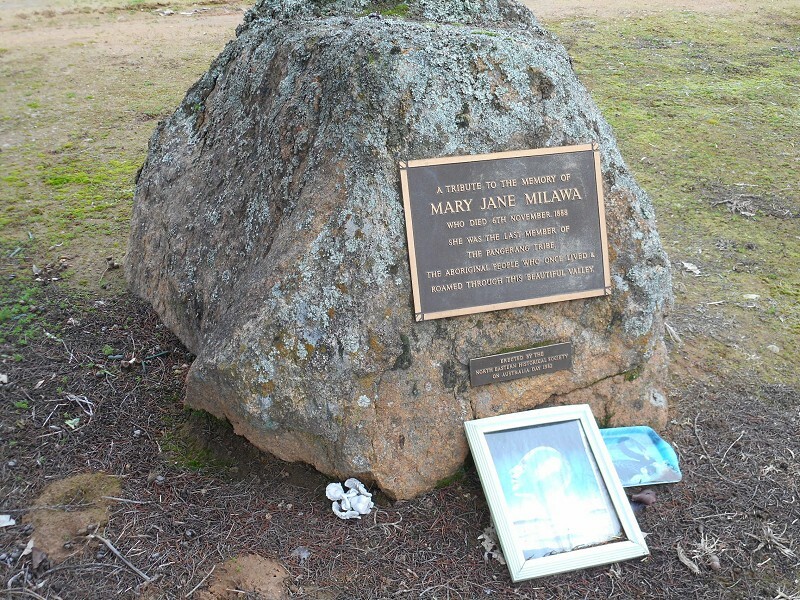 Ann Jones, mother of these three, ran the little pub at Glenrowan that was the site of the siege between the police and the Kellys. Prior to the arrival of police, young Jack sang "Wild Colonial Boy" (or Bold Jack Donohue) for the entertainment of captors and hostages. Once the shooting started, he was shot in the hit probably by a police gun and died the next day. Jane was also shot, although obviously not mortally. 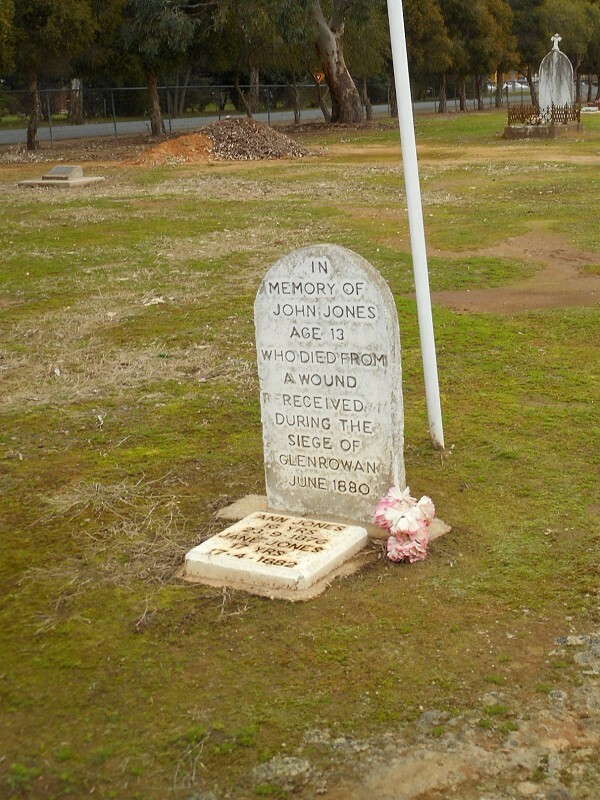 Jones Family: Johnny Jones died in the Glenrowan siege from an errant bullet. Jane Jones died two years later. 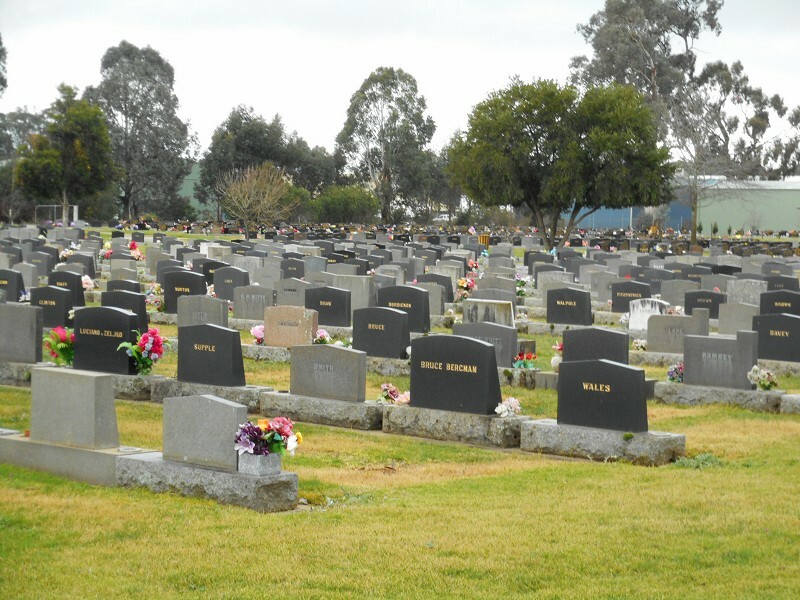 Other family members are also buried here. 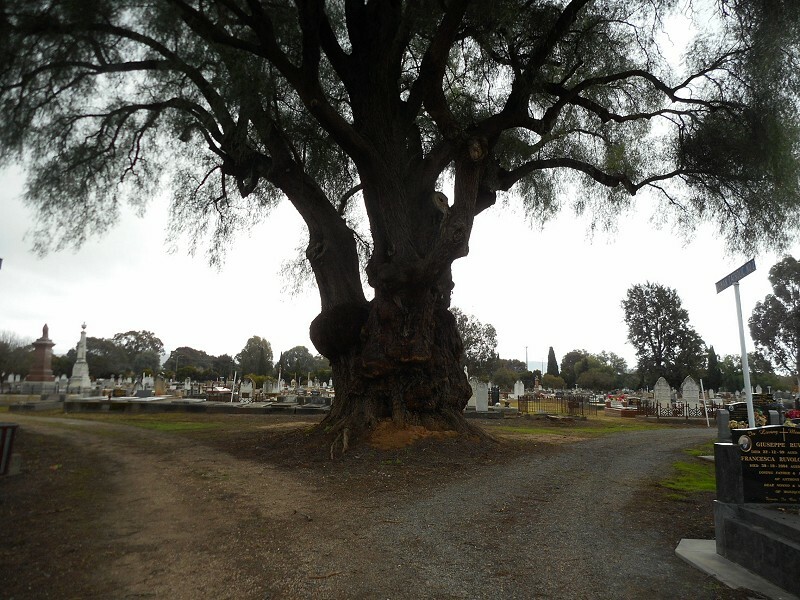 Isabella is possibly the oldest person to be buried in the cemetery at 106 years old. She was only two months away from celebrating her 107th birthday. This was just a photo of an odd looking tree in the fork of the path, but camera did odd things around the edges. 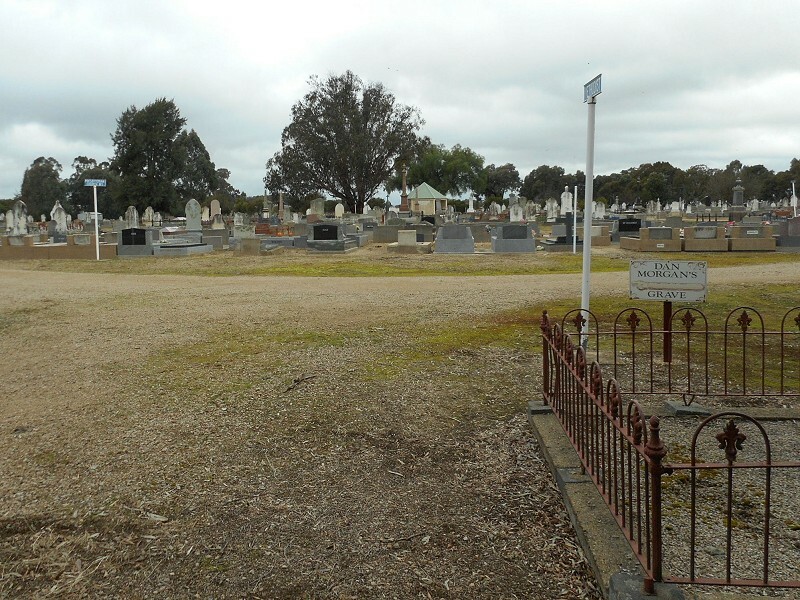 A newer part of the cemetery. There's just something odd about the uniformity of the stone. To finish off, the war graves section. The camera helpfully blurred the photo I took of the description and there's nothing in the brochure so you'll have to make up your own description.